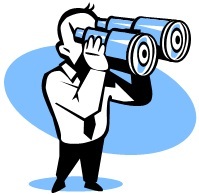 Project Managers, Are You Being Heard? What you say and how you say it may have more impact than you expect. Communicating is one of your key project management tools. Just be sure you do speak up and be reasonably persistent in getting your ideas out to the team. Does Anyone Really Care If Our Project Is On Time? I would often talk excitedly about some project we completed that was on time and had good results. Folks would say "yeah, we did that too." In my naive enthusiasm, I would pepper them with questions on what they did and how they did it. I would get horrified looks and then they would flee. I would come to discover that too many of those other on time projects were more noise than substance. How could a simple notion such as "on time" be so complicated?" I talk a lot about "on time" as being a project management tool. This might strike many as backwards. Normally we figure if we do a good job then we will deliver on time. I maintain that often, more often than one would suspect, we can figure out what "on time" looks like and then squeeze the project into that period of time. Pay Attention. That's it. Pay Attention. The Ultimate Project Management Tool. Meeting Madness? Don’t Do it! All I had to do was to get about 500 software defects fixed, according to my project management tools. My boss told me I had to have daily meetings with everyone concerned to get this done. This meeting centric approach to managing this project turned out to be utter madness. Simple measurements, that anyone can do, demonstrated that these meetings had no discernible impact. We had done everything "by the book." Sold management on the great project management technique and tools. Called all those planning meetings. Got approval and funding. Six months later, few people seem to be talking about the improvement project. Things don't look too much different . Does this sound familiar? Here are seven techniques we've used to ensure success. Avoid This Project Management Schedule vs Requirements Trade-Off Trap! Your development team is telling you it will take 24 weeks to do product development. You only have 20 weeks to your product launch window. After that, the product won't be competitive. What does a good project manager do? Knowing Your Project Management Average Is Powerful! A simple project management tool, such as computing an average, can transform a project from chaotic and out of control to suddenly predictable and manageable. Here are some simple averages that made a huge difference in our management of large and complex projects. Project management tools is all about turning an out of control situation into a rational, methodical discipline. Sometimes, however, losing some control of the situation can be the best course of action. Our team, led by a baby faced brand new 2nd lieutenant, delivered on schedule the annual software release of a critical national defense early warning system. This on time delivery was a first in memory of the organization. Don’t Project Manage Change – Provide A Service! Consider organizing your project management change effort as a "service" tool. This approach helps reduce resistance and it highlights how you are here to help. For us, it resulted in rapid improvements where previous efforts had little or no impact. 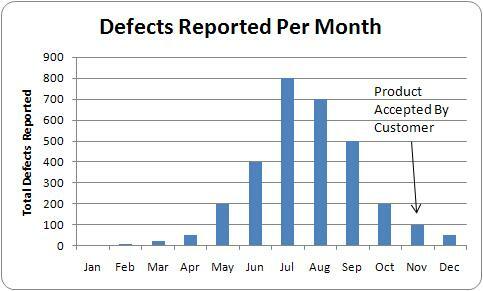 Defect Reports Are Your Best Friend! This post is adapted from an e-mail I had sent to a CEO who was looking for project management tools to help deliver his products when promised. In the past his organization had successfully been able to know precisely where their product readiness stood. Trending defects will work well in managing projects of all types. Get The Project Management Schedule Right! Project management tools and techniques help us to do the job we need to do. Yet, the tools can often become overwhelming with updating them, trying to get just the right report out of them, etc. It is easy to lose track of what we are trying to achieve. Estimating a schedule is one of the most critical things we will do so let's see if we can get it right. Honesty in project management reporting is just more efficient. Just report the status of a project as it is. If things are late, it will show things as late. If things are confused, it will show things as confused. Spending valuable time making things look better on slides than it does in reality is not productive.